In mid 2015, Greg and Rhiannon McAfee approached Dave Rivas with the concept of producing a new weekly podcast, radio play series. Greg had the character of 1950's style gum shoe detective, Rex Rivetter rolling around in his head for many years and had finally brought the character to life in the form of an old time radio show. Dave and Greg had worked together in San Diego theater before, were aware of each others talents and eager to take on the adventures of Rex Rivetter Private Eye. Greg and Rhiannon, rounded up local San Diego actors to give voice to the new characters in this 1050's based serial. Dave was brought in as vocal, sound, technical director and sound designer. All actors were recored by Dave, some of whom had very little to no experience on mic or in studio. Rhiannon McAfee directed all recording session with Dave's co-direction in vocal & mic technique. Dave then cut together all the session with music and sound. The end result is phenomenal. 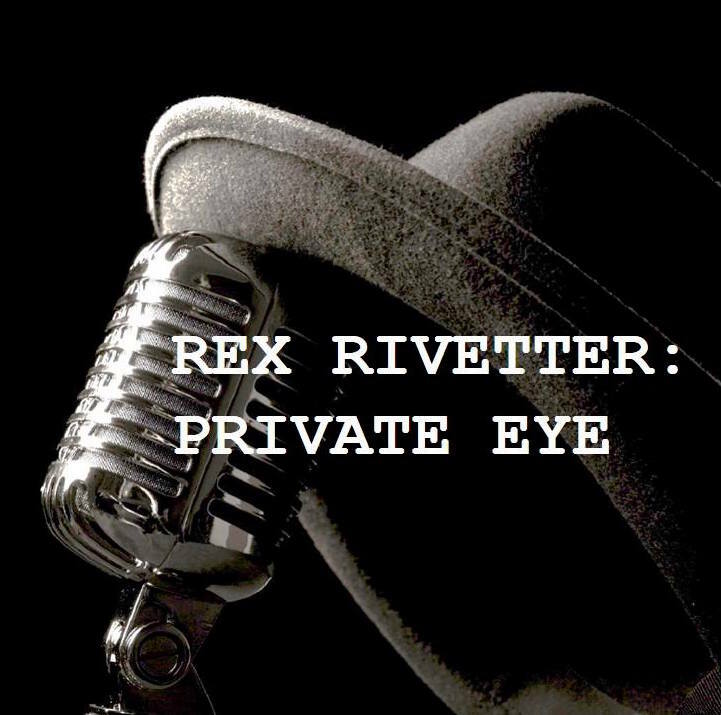 You can listen, subscribe, rate and review Rex Rivetter Private Eye on iTunes, Google Play, Twitter, Stitcher, iheart Radio, YouTube, tumblr, Otto Radio, or on the Downstairs Entertainment website at www.dsentertain.com or Downstairs Entertainment RSS Feed. Keep up to date with the show on their Facebook page. Rex Rivetter World Premiere Trailer from Dave Rivas on Vimeo.